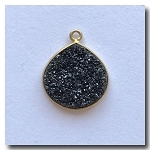 CHARCOAL/BLACK ROUND DRUZY PENDANT: Bezel: Sterling Silver. Finish: 24kt gold electroplate. 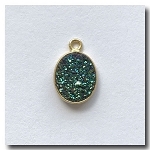 Size: 10mm. 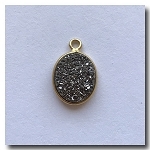 Handmade Coin Pendant. Slight variations in color and/or size may occur. 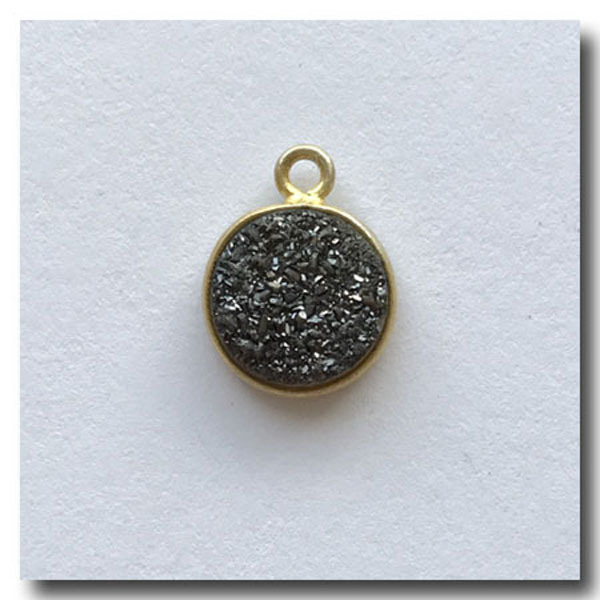 Add a jump ring and attach to one of our necklaces to create a timeless designer necklace.